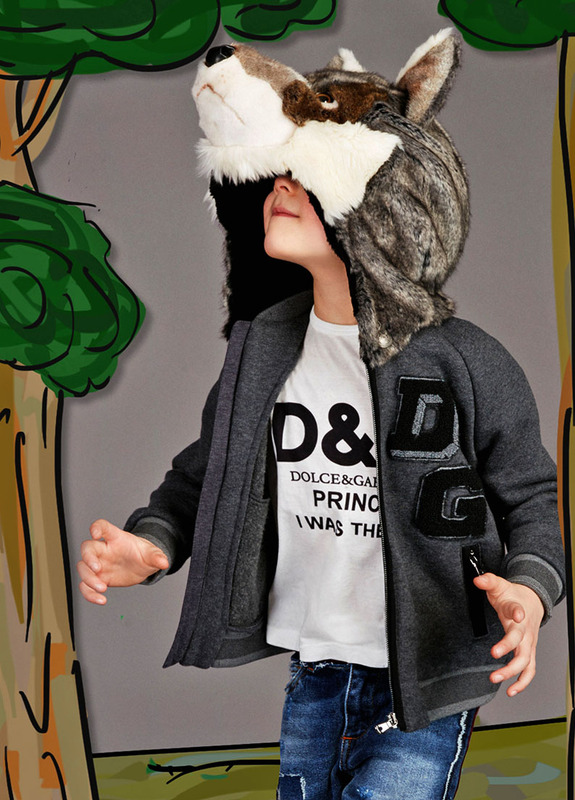 Must Have of the Day: Give your little gentleman a warm winter jumper! Dressing like DAD has never been more fun! 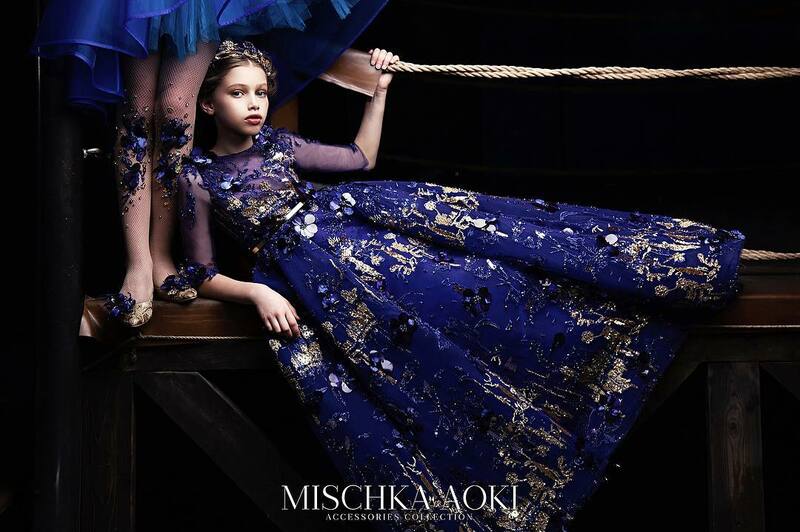 The Boy’s collection from Dolce&Gabbana was born to reflect a mini version of the Men’s lines! 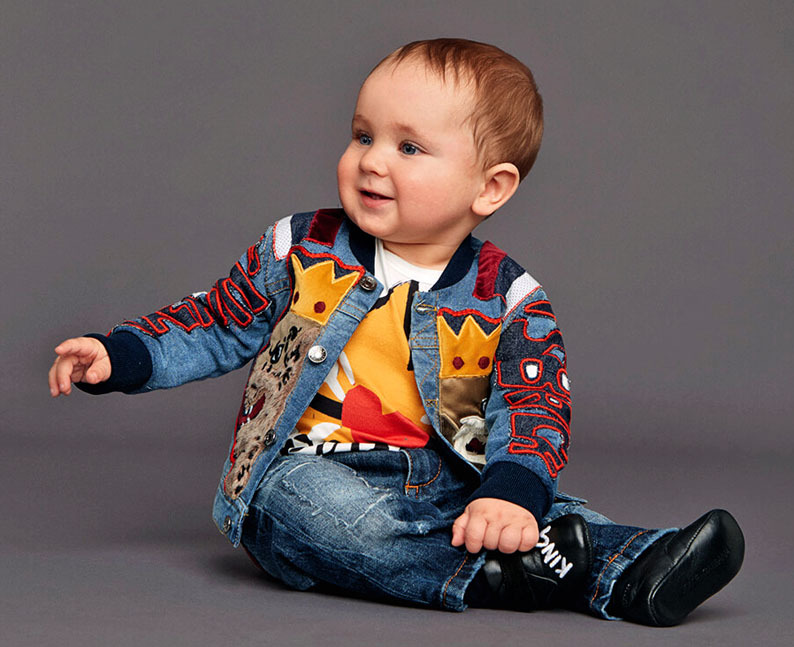 The fabulous appliqued jacket seen in Dolce & Gabanna's menswear collection, bearing the legend 'The King is Back', has been beautifully interpreted especially for your mini-me. With a slight stretch and cotton jersey lining to make it comfortable as well as stylish, this stunning jacket is a luxurious choice for a very special little boy. 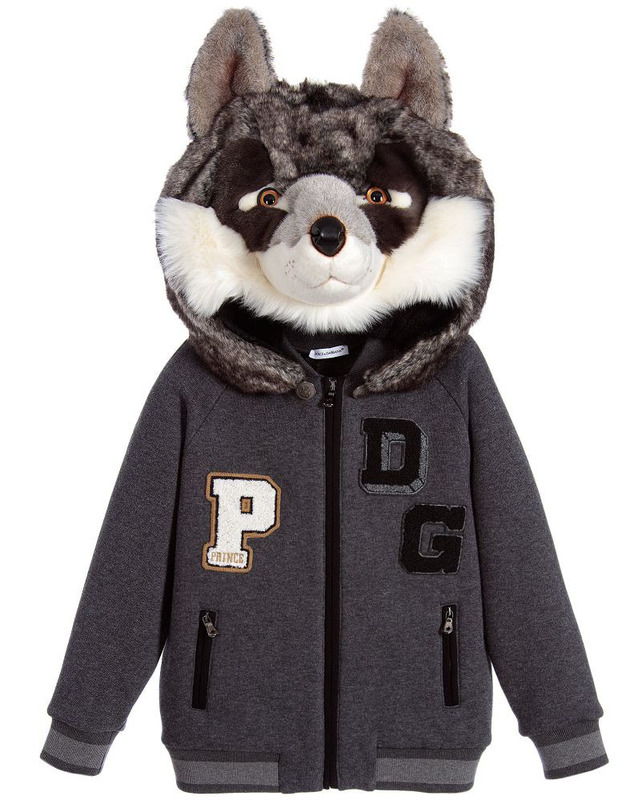 A boy's imagination can run wild with this mini-me hooded top by Dolce & Gabbana. Inspired by the men's collection, the fabulous, detachable wolf's head is a hood with a difference, pull it down over the eyes for fun, or wear as a hat to keep warm. 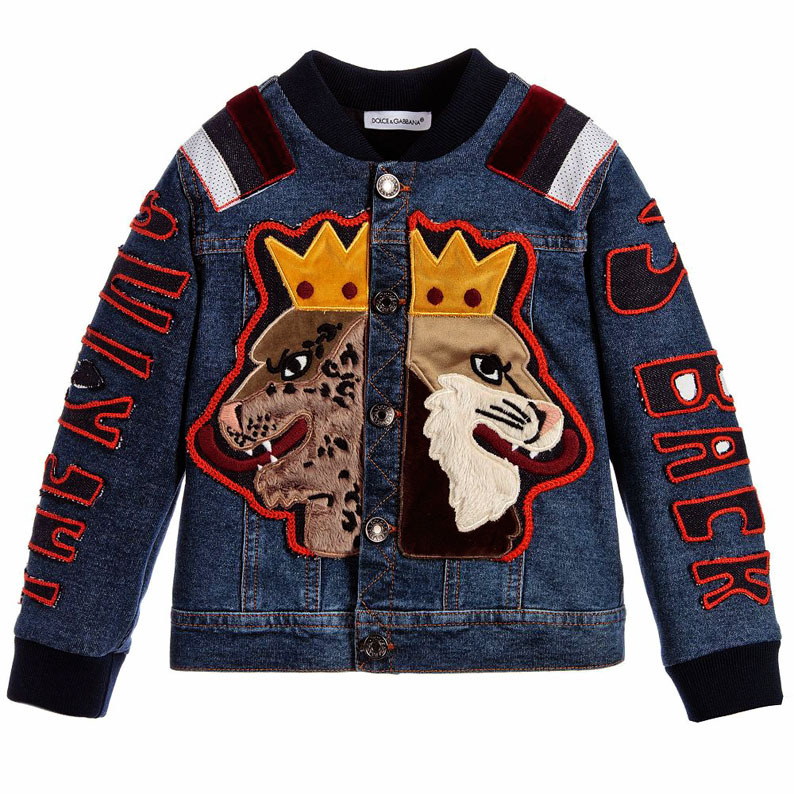 The top is shaped like a varsity style jacket, with ribbed trims and logo appliqué patches. Made in thick, durable fabric, it has a soft and cosy fleece interior to keep out the cold. This fabulous faux fur jacket from Dolce & Gabbana is the junior interpretation of the Fall/Winter 2017 runway collection. 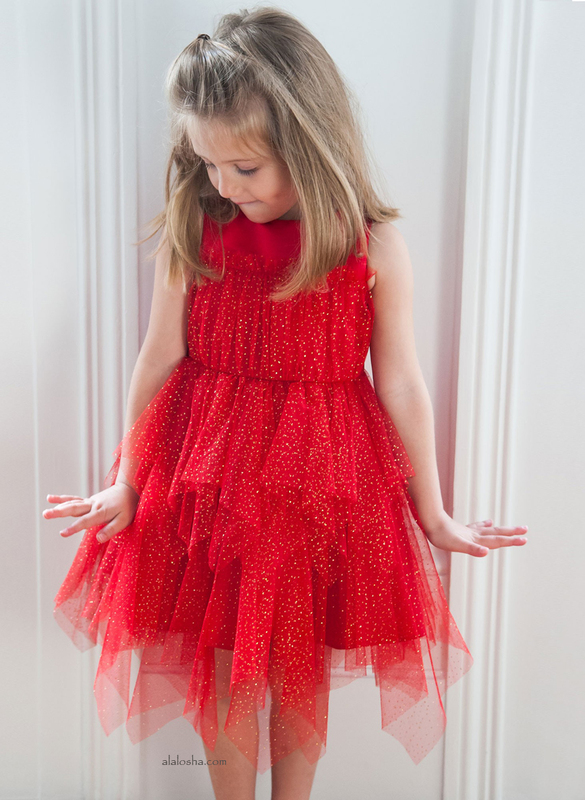 This mini-me leopard design is made in the softest plush fur and is certainly eye-catching. 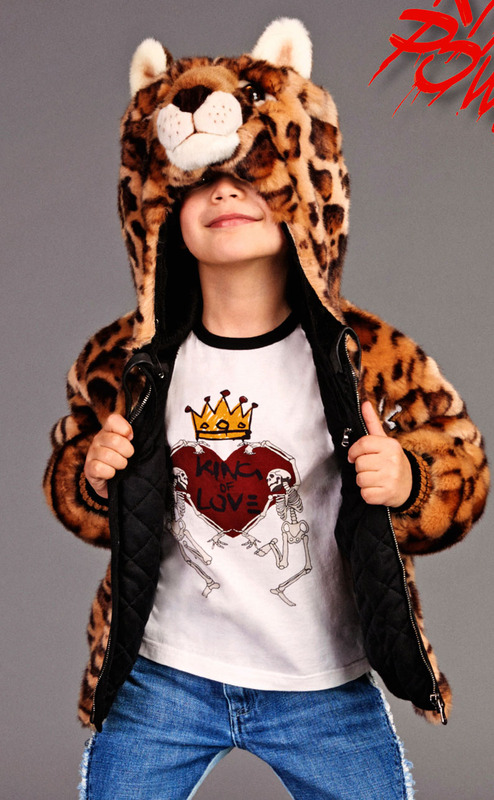 The hood has leopard detailing, just like the adults version, with 'Royal' embroidered on the front. There is a zip to fasten, zipped hand pockets and ribbed cuffs.